Perfect home for your favorite tea! Holds 100 grams (3.53 oz. ), 4" tall, 2-1/2 in diameter. 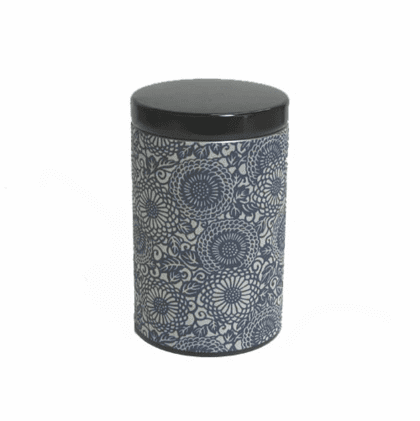 This attractive, finely detailed aizome blue and white pattern canister is easy to open and features finely detailed chrysanthemums in an overall pattern. Has a black lid.